Smartphones reached 1 in 4 mobile Americans and 3G penetration crossed the 50 percent threshold, signaling the maturation of the mobile industry. In December 2010, nearly 47 percent of mobile subscribers were connected media users (used browsers, accessed applications or downloaded content), up 7.6 percentage points from the previous year. The growth in mobile media usage is largely attributable to the growth in smartphone adoption, 3G/4G device ownership and the increasing ubiquity of unlimited data plans, all of which facilitate the consumption of mobile content. 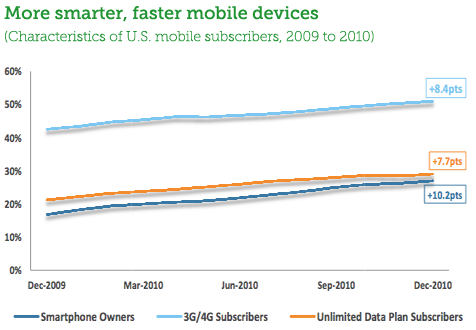 Looking deeper, the market share among smart phones is rapidly changing. Of the fraction of phones which are smartphones (currently 27% total), here’s the changes in their marketshare, based on Canalys estimates of platform shares, as graphed by Asymco. 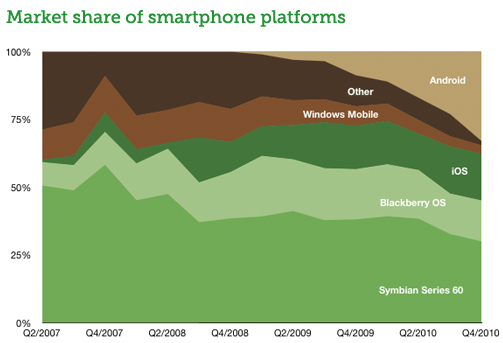 Android and iOS are less than 2 years old as platforms. In that time frame these two have taken 50.2% of the most competitive technology market on the planet. 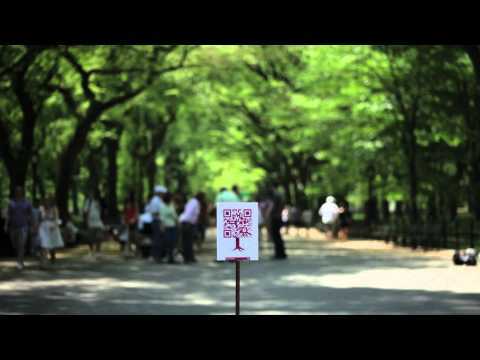 Meanwhile, Nokia recently announced that they are phasing out Symbian. Organizations serious about public education had better keep smartphones in mind (tablets too, but that’s another story — see our recent post about tablets). And if you have to pick a platform, iOS and Android are the obvious choice. comScore says that smartphone adoption, device innovations (including tablets) and improvements in network speeds all took hold – and it can be expected that these factors will continue to be strong drivers of mobile media consumption in 2011. 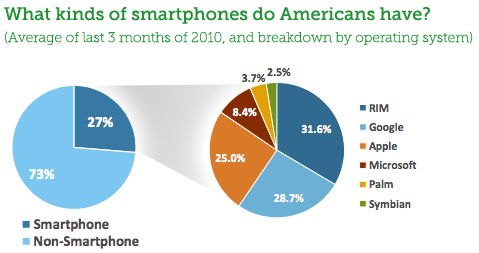 Source: “The 2010 U.S. Digital Year in Review,” a whitepaper from comScore. (PDF). Data from comScore Media Metrix and comScore MobiLens. Also, a graph from Asymco.